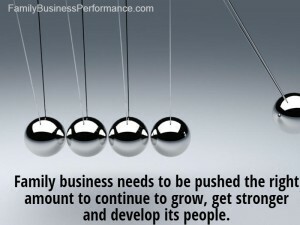 This year push your family business team the right amount. Having the chance to work in both family businesses and some of the most well-known public companies gives me a great perspective on the differences between the two. Top public companies are uber focused and always pushing and driving hard for bottom-line results and stock price increases. Focus and intensity is almost palpable and sometimes a bit overwhelming for some of the workforce. In contrast, some family businesses under push their team. When I speak to some family business owners they actually cite one of the things they appreciate about owning their own business is not having to answer to unreasonable sales targets and stock price goals. I get it — I run my own business and have the same mindset that it’s great not to be answering to investors. On the other hand a family business needs to be pushed the right amount to continue to grow, get stronger and develop its people. Striking the right balance between pushing hard and coasting on your reputation is the hard part. Here’s one of my favorite analogies I like to use to illustrate this point. Every March in Arizona many of the most talented baseball players come together in what they call Spring Training. Even though they are highly talented natural athletes they know how important it is to practice working on the fundamentals to hone and sharpen their great talents. It’s incumbent upon the family business leaders to set the tone and create an environment that has the right amount of tension to allow for healthy new skill building each year. Working with many families trying to grow and develop their next generation of talent really highlights the difficulty in being both a parent and a business owner and challenging the new players who want to become superstars. The best athletes, musicians and performers continually practice and push themselves to get better and reach the top of their field. Here’s a short video I made specifically about how family businesses can maintain and foster a competitive mindset. 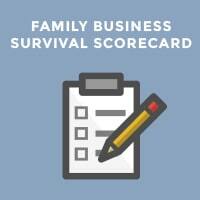 We all know the highly published failure rates of family businesses. A mere 20% make it to the third-generation. Family leaders have the very delicate task of creating the right amount of tension on the family business team. 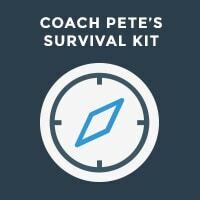 This year push your team — it will be the best thing you can do for your team and your family!